A man has appeared in court charged with murder after a woman was stabbed in Berkshire. Mark Sinclair, 30, of no fixed address, appeared at Reading Crown Court via video link on Tuesday. 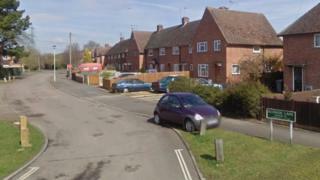 Kylie Dembrey, 28, died after she was found injured in a home in Blossom Lane, Theale, in the early hours of 6 September. Mr Sinclair was remanded in custody. The case has been listed for trial on 25 February.